Doug B. form Campbell River, Canada sent me this idea and I will be sending him a FREE paddleboard kit as a thank-you! Upcycling, also known as creative reuse, is the process of transforming by-products, waste materials, and useless and/or unwanted products into new materials or products of better quality or for better environmental value. When I cut out paddle board kits on the CNC machine I get a bunch of cutouts from making the lightening holes in the fishbone frames. 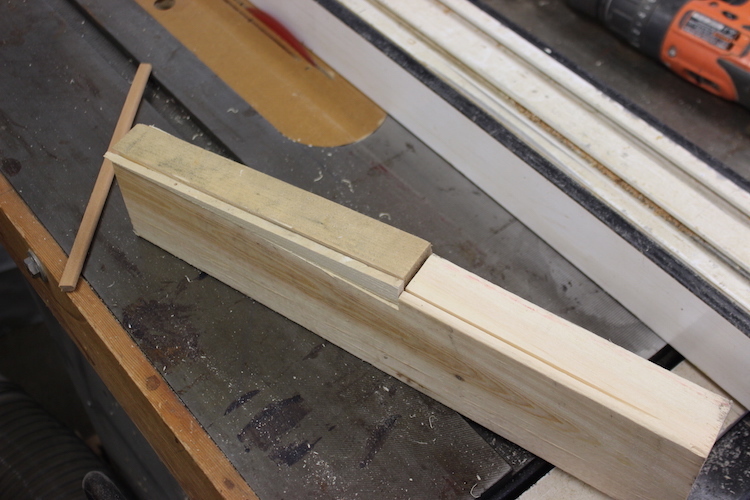 By adding notches and a little 14:1 wedge the cutouts quickly turn from useless waste, to super handy clamps for building the bead and cove rails. As you build rails on a hollow wood paddleboard clamping requirements change. 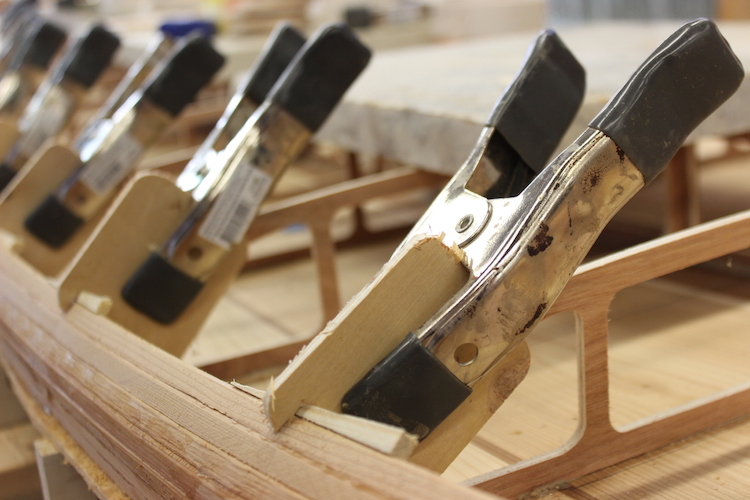 These homemade wedge clamps can be held at the correct angle. I am using 2″ spring clamps from Home Depot to hold the clamps but you could probably use the smaller 1″ clamps as well. In the tutorial I am using the cutouts from the ribs lightneing holes but simple rectangles will work just as well. 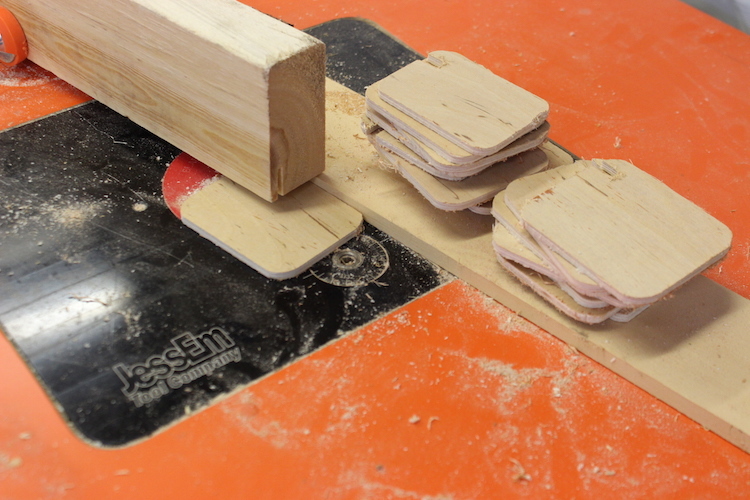 Here is one way to safely make these clamps. If you are going to use a router table it is VERY important that the fence is on the right side of the fence. The cutting forces of the spinning bit will help hold the small part against the fence. If your piece wants to be spit out the fence is on the wrong side for the operation you are doing. The wooden wedge is being used as a depth gauge. It would be unsafe to have your fingers holding such a small piece of wood near a spinning blade 20,000 rpm so either cover it up or build a jig to hold the small parts. I like it covered as shown, as it would be very hard to build the rest of the board without fingers! 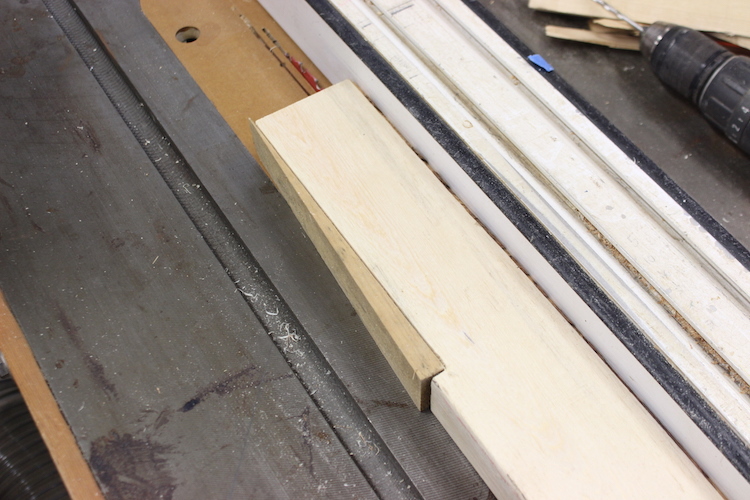 The little notch should be deep enough to stabilize the rail strips while staying above the glue line. 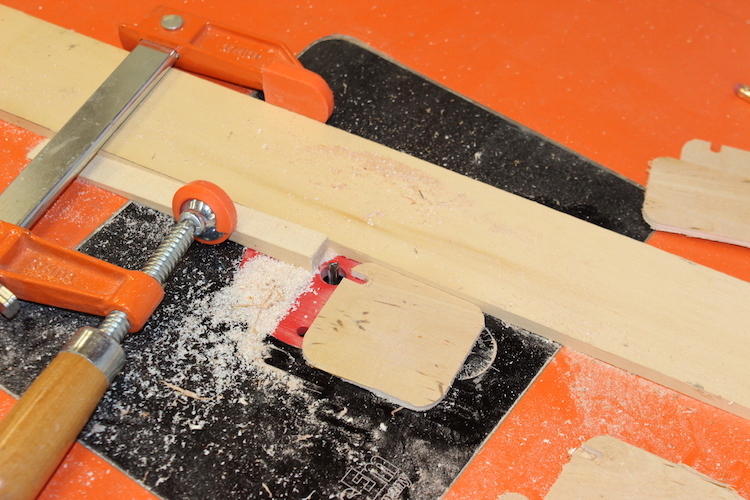 If you don’t have a router table you could simply drill a hole and use a Razor saw to complete the notches. Ripping small narrow parts on a table saw is unsafe without a jig. One way to safely rip small parts is to cut a notch in a piece of scrap material to trap the material. You can see how the piece of scrap holds the material and keep your hand safely away from the blade that only needs to be raised 5/8 of an inch. This jig allows you to safely rip wedges until all the stock is utilized. 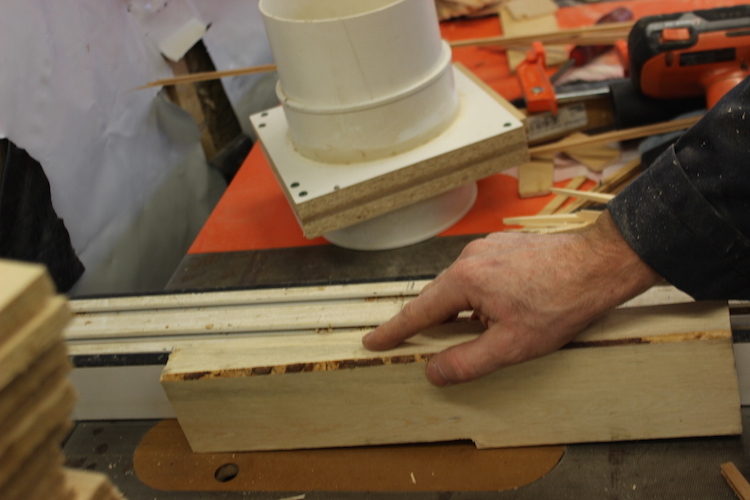 The little strip was used to push the wedge material against the fence, as the stock got narrower with each cut.